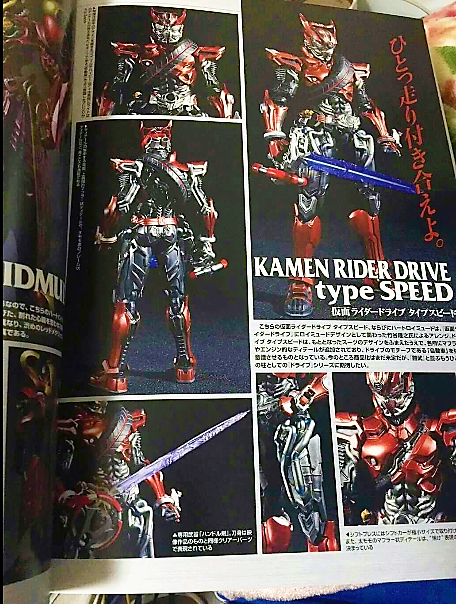 With S.I.C Drive Type Speed having been previewed at the last Tamashi Nations event, we finally have another look at the spectacular piece thanks to some magazine scans that have popped up. For now, we have no further details on his release or even if he’ll be released to the public though he’ll be making an appearance in the coming issues of S.I.C Hero Saga. No indication if he'll actually be released as of yet, though he's going to be appearing in S.I.C Hero Saga hence the preview piece. Even as an SIC, nope. Damn. He looks like Robocop and a Spyder 918 had a one night-stand and their offspring had a child by a Gundam. So what's the excuse for lack of Fourze now? This continues to interest me. 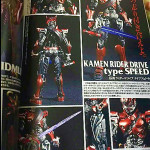 Not that I actually expect this, but I'd love it if Drive came with enough extra parts to turn into some batshit crazy half-Tridoron/half-person monstrosity. By the way, what's that Heart on the previous page? I would love to see a SIC version of Mashin Chaser. The suit is already badass, but add the SIC designs to it, and wow! I at least think so. I'm not really into the S.I.C. line but where's Fourze? 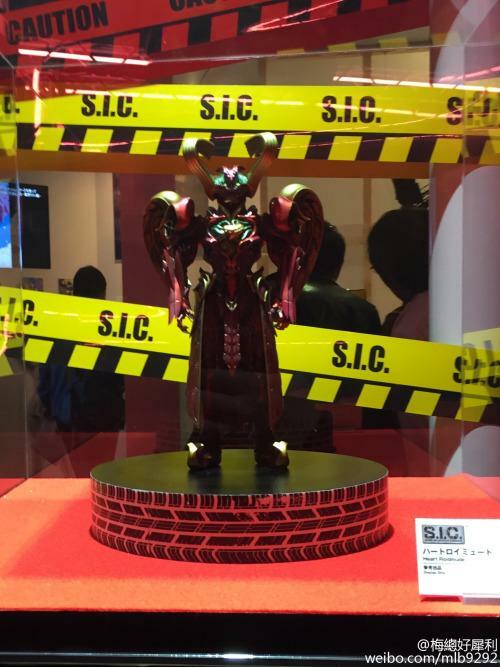 and also SHF Kiva? Ooooh, cool, I forgot that guy had been shown off before. Kiva's already been done, a whiiiiiiile back. There's a gallery for it on this site. As for Fourze, who knows.